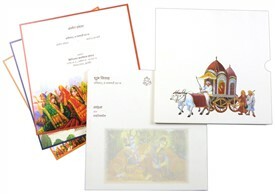 D-6263, Red Color, Multicolor Offset Cards, Hindu Cards. 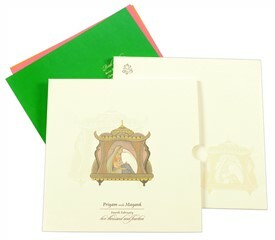 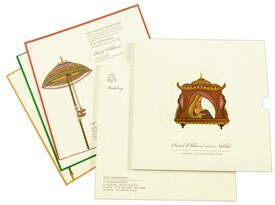 The card front has Bride-groom as main picture symbolizing the sacred Wedding on a maroon background. 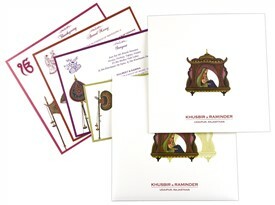 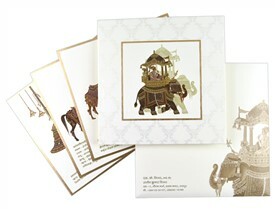 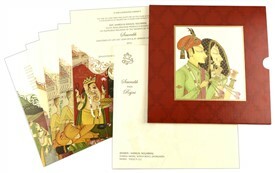 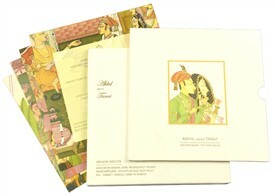 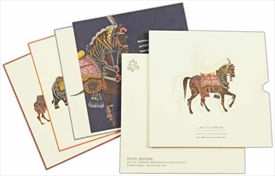 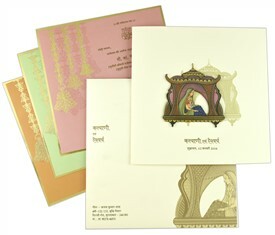 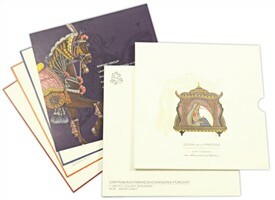 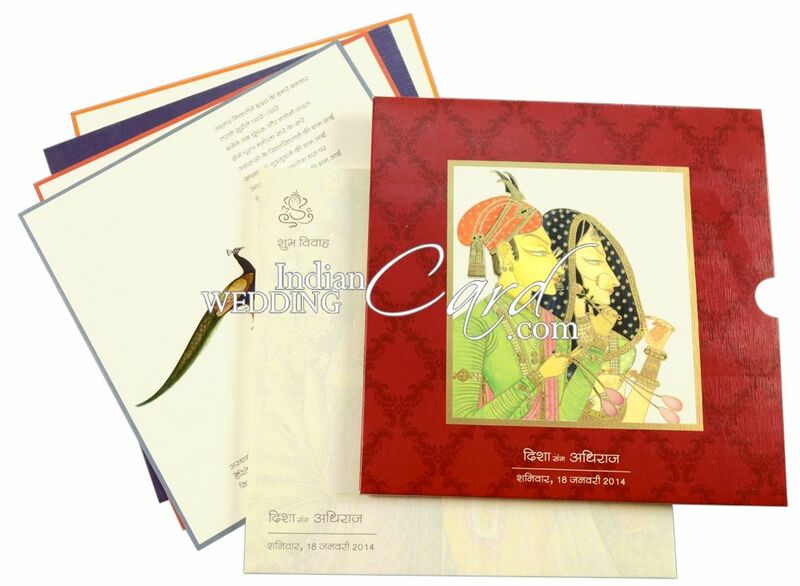 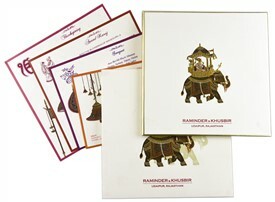 The inserts are multicolored and depict wedding icons as elephant, peacock, doli and a fan. 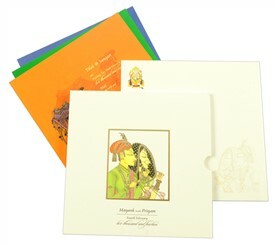 Each insert has colored border all around. 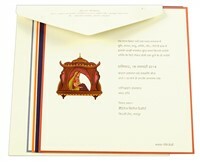 Envelope has subtle radha-krishna picture on front. 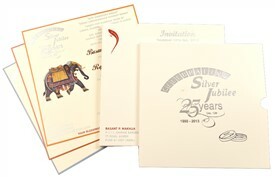 Ivory color self-textured paper (280gsm) for pocket style box card, 4 inserts and mailing box envelope. 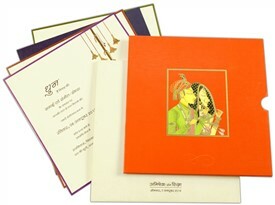 Silk Screen Printing in cream color.